Why do certain ones suffer more than other people do? That is the question she wanted answered. The path of life is not just a journey but also an assigned one she discovered as she witness the journey of the lives of others. No longer a peripheral bystander she will embark on her own private journey. On this journey, she deals with personal issues that have been handicapping her life. On her path, she encounters hurt and rejection. Hurt can cause a person to do things that they normally would not do. On the heel of self-discovery, she finds that she is not alone and that she was a certain one. Chosen for purpose. People can use this book along with the Bible to attain, renew, or maintain spiritual connection with God – Freedom. Everyone male and female should pick up a copy. It’s an amazing MUST read! 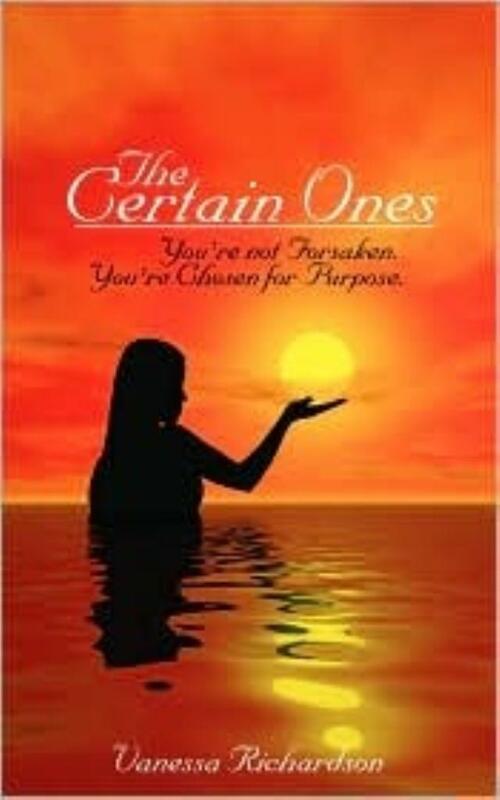 The Certain Ones: You’re Not Forsaken. You’re Chosen for Purpose, has an empowering, edifying, and encouraging message for people in all walks of life–especially those seeking God, for the calling placed on their lives. Yet, some of us focus primarily on our circumstances and situations at hand, instead of becoming more than conquerors. There are onlookers or watchers, who do not understand how “certain ones” keep pressing and pushing when the pressure is at a high, where it seems like no way out.Vanessa Richardson also shares her heartrending and touching experiences, with transparent struggles that some of us can relate to (or unseemly cannot imagine being in her shoes) and her faithfulness while walking with God. 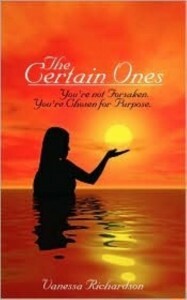 The Certain Ones by Vanessa Richardson is an enlightening and instructive read. It makes a serious attempt to answer the question: “Why do certain ones suffer more than others?” This author shares with her readers the amazing illumination of insight she received in witnessing the successful journey of the lives of others. She also shares her own private journey revealing her personal struggles and triumphs in searching for the true purpose of life. You’re not forsaken and you’re chosen for a purpose prevailed throughout the author’s diligent search for the truths of righteousness. In her discoveries, she learned that the path one chooses in life could be more than just a mere journey; it could be a divine direction given to you by the grace of God. This book is a beautiful testament that we all can be winners in our spiritual journey if we exercise the profession of our faith firmly in the Lord Jesus Christ.